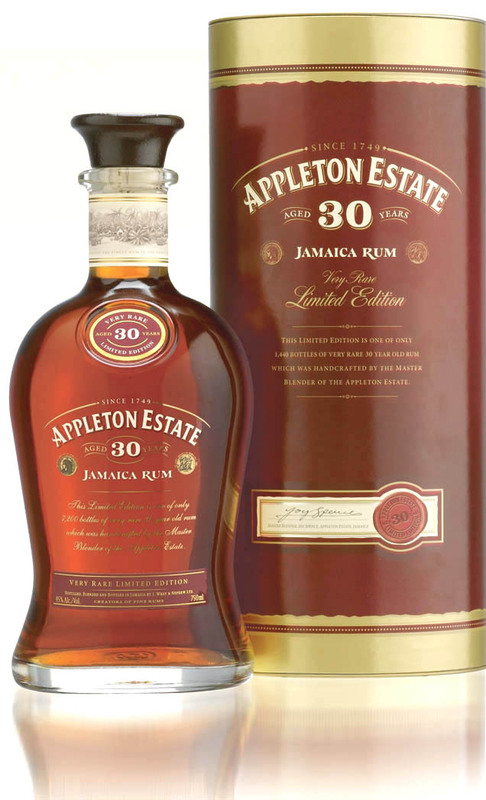 April 1, 2008; Kingston, Jamaica.Appleton Estate Jamaica Rum has introduced a limited edition 30 year old rum. Only 1,440 bottles of Appleton Estate 30 Year Old Jamaica Rum has been produced, and according to David McConnell, Managing Director of Global Marketing for Appleton Estate Jamaica Rum, this limited edition rum will be available in select markets across the globe. Appleton Estate 30 Year Old Jamaica Rum is packaged in a proprietary bottle whose design was inspired by the Appleton Estate signature bottle that has been a hallmark of the brand since it was launched 20 years ago. The bottle has a cork finish and each bottle has a hand-numbered certificate of authenticity. The brands that make up the Appleton Estate Jamaica Rum range include the flagship brand, Appleton Estate V/X Jamaica Rum, the super premium Appleton Estate Reserve Jamaica Rum, the ultra premium Appleton Estate Extra 12 Year Old Jamaica Rum, and the luxury rums, Appleton Estate Master Blenders’ Legacy and Appleton Estate 21 Year Old Jamaica Rum. The Appleton Estate Jamaica Rum range is produced exclusively on the Appleton Estate which is located in the Nassau Valley in the parish of St. Elizabeth, Jamaica. The first known documentation of rum production on the Appleton Estate is dated 1749 and it is the oldest sugar estate and distillery in Jamaica. Appleton Estate Launches "Exclusive Edition Rum"
Join the discusion in the forums!